Most religions require devotees to make difficult and arduous pilgrimages to holy sites in part to show their dedication to the faith and to prove that they are willing to undertake any sacrifice. The hardships are supposed to be a symbolic reminder of the impermanence of life and how fate is in the hands of the omniscient being. Popular Hindu pilgrimage sites are Muktinath, Kailash or Gosainkunda which draw devotees not just from Nepal but all over the world. 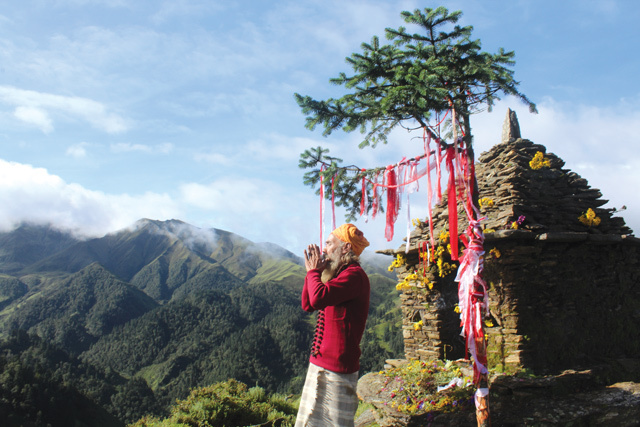 Less well known, but as difficult to reach and just as rewarding is Badimalika, the Shiva shrine high in the mountains of far-western Nepal in Bajura district. Although the big mela at Badimalika, just as in nearby Khaptad or Gosainkunda, was on Janaipurnima in August, the holy trek can be undertaken at any time of year except perhaps in winter when it is snowbound. 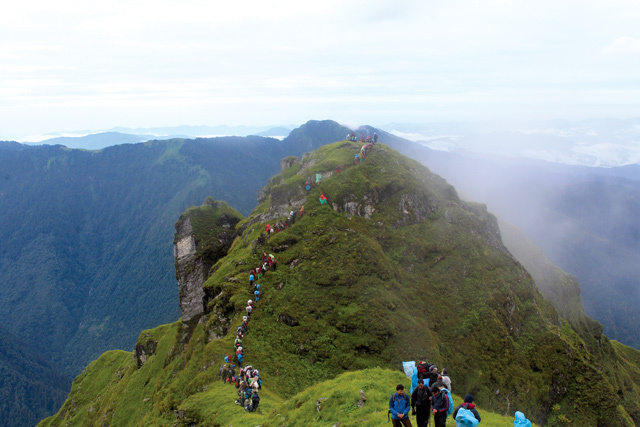 But even if you are not religious, the Badimalika trek can be a pilgrimage to nature. The sheer remoteness of the place has kept it preserved from the outside world and the ‘development’ that has accompanied tourism destinations in other parts of Nepal. In fact, for a glimpse of what Nepal looked like before ‘trekking’ arrived, a trip to Badimalika is an eye-opener. The shrine itself derives its religious significance from the Hindu myth about Vishnu deploying his Sudarshan Chakra on the body of Sati as it was being carried around by the grief-stricken Shiva, and various parts of her anatomy falling to earth. Badimalika is where her left shoulder is supposed to have come to rest. 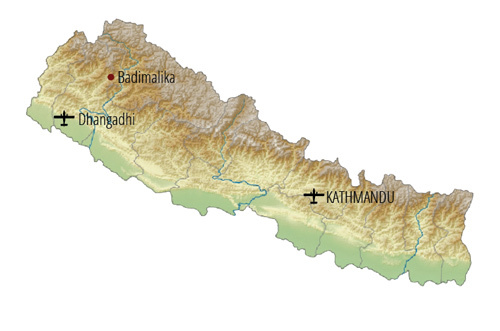 Badimalika’s popularity with surrounding parts of Nepal and neighbouring India is supposed to have increased after Prithvi Narayan Shah visited the site during his westward conquests in the 18th century. Priests at the temple say that the Badimalika Bhagwati is the eldest sister among 112 goddesses, and should be worshipped first and the deity has the reputation of granting wishes. 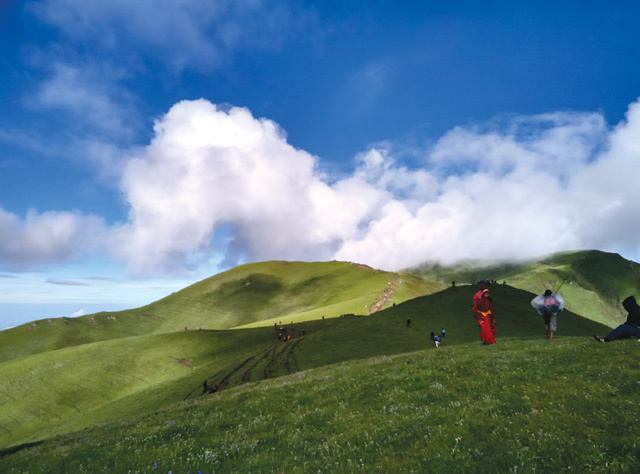 At 4,200m the mountain-top temple is situated above the treeline and the last part of the hike is along knife-edge ridges with Alpine meadows festooned with flowers this time of year, and grass that is like velvet underfoot. 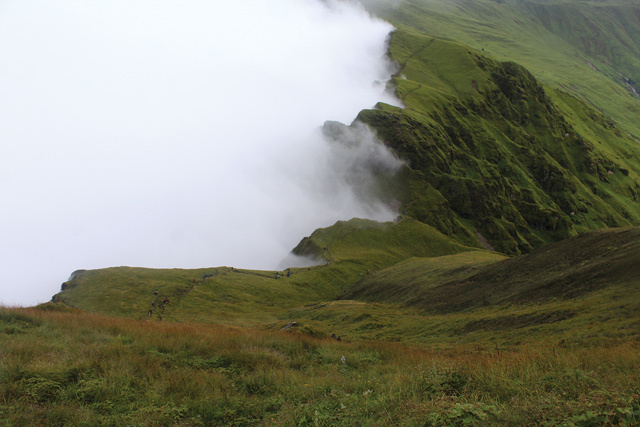 There are very few tea houses and lodges, so trekkers are advised to carry their own food and tents. Unlike Khaptad or Rara, the area is not a national park and the trails are unmarked, so taking along a local guide is adviasable. The best way to get there from Kathmandu is to take the one hour flight to Dhangadi, and embark on the long and winding road via Dadeldhura to Martadi from where Badimalika is a steep 3 day walk. On the second day one reaches holy Triveni, the confluence of three crystal clear streams where pilgrims perform ritual dips so their dead relatives and ancestors find peace in heaven. The scenery is stupendous, with the Api-Saipal range spread out over the northern horizon, and the wilderness has a spiritual feel to it. The trek is still passable till December, but after the first snow it is advisable not to be on this trail till next spring. Can Nepal attract half a million pilgrims by 2024? Can a government office break the law and get away with it?